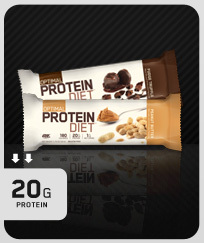 Optimum Nutrition Optimal Protein Diet Low Carb Bars now available! Posted on May 20, 2012 Categories Diet Food, High Protein, Low Carb, Low Carb Diet, Sugar FreeLeave a comment on Optimum Nutrition Optimal Protein Diet Low Carb Bars now available! The sweet, moist, dense taste and texture of a freshly-baked muffin now comes in a low calorie, low fat, and low carb square. Is ThinSlim foods’ new square diet heaven? When it comes to desserts and snacking, tt’s not too often that you can triangulate low carb, low cal, and low fat together with great taste and texture. In an almost mystical new turn, however, ThinSlim has manage to create the ultimate diet dessert with their new squares. The seemingly nondescript name is in many ways perfectly-suited for these new desserts, since they really cannot be co-opted by any one school of diet: the low carbers will love them because each one is just 2 grams of net carbs. The low cal people will be blown away by the fact that they are only 40 calories each. And low fat gurus will appreciate the mere 1 gram of fat per serving. But all dieters will appreciate their taste. Snack cake manufacturers like Hostess, Little Debbie, Bimbo, and even the Philly-based Tastykake have all dreamed of crafting a diet square like this. All of them have tried, but the taste and texture never live up to expectation. ThinSlim’s new square, however, seems to capture everything you’d want in a diet snack cake while still preserving the fundamentals of whatever diet you subscribe to. 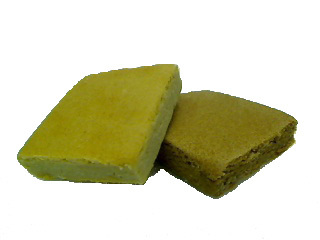 Currently, the ThinSlim squares come in three flavors, almond, banana, and peanut butter. They are most definitely worth a try, and are 100% guaranteed by ThinSlim not to raise blood glucose levels, citing that all of the nutritionals have been lab tested and verified. Take a look at Linda’s Diet Delites’ selection of ThinSlim squares here! Tera’s Whey Protein Powder is now available in Goat Whey Protein Canisters , Organic Whey Protein Canisters, rBGH Free Whey Protein canisters, and Organic Whey Protein packets. “I created teraswhey to cause extraordinary change. The most natural ingredients like organic, hormone-free cow, goat, & sheep whey proteins. All natural flavors. high antioxidant superfruits. low glycemic stevia. The best tasting, simple ingredients ethically sourced from small family farms, artisanal cheesemakers, fair trade suppliers. Whey that transforms your health (and that of those you love). Made in a green factory that touches the planet lightly. – All of our ingredients are sourced from sustainable family dairy farms and from stewards of endangered ecosystems around the world. – 20 grams of protein per serving – the recommended serving by MDs and nutritionists for people with health and recovery issues as well as for optimal post-excercise recovery. – 4 grams of carbohydrates from fruit and low glycemic stevia means your blood sugar will not spike. Also, be sure to check out all of our low carb shakes and high protein shakes on the website. Designer Whey Protein Powder now available! Be sure to check out all of our low carb shakes and high protein shakes at Linda’s Diet Delites! 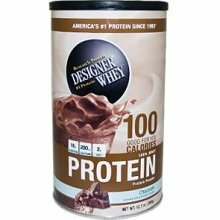 Posted on February 6, 2011 March 4, 2011 Categories Diet Food, Food Finds, High Protein, Low Carb, Low Carb DietTags designer whey, Designer Whey Protein Powder, high protein shake, low carb shake, protein powder1 Comment on Designer Whey Protein Powder now available! Specialty Cheese Just the Cheese Crunchy Baked Cheese Chips are now available in 8 cheese packed flavors. These chips made entirely of cheese are low carb, low sugar, and high protein. 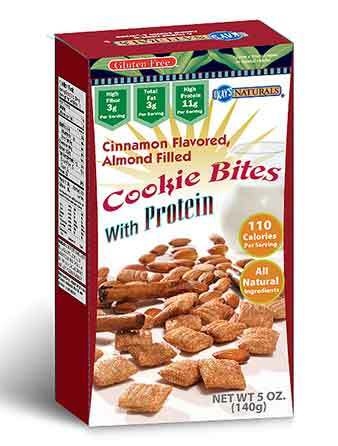 Be sure to browse our wide selection of low carb snacks at Linda’s Diet Delites!